Watch how the Hinkley-based Triumph Motorcycles works in MotoUSA’s How Triumph Makes Motorcycles Video. Since its rebirth in 1990 the Hinkley-based Triumph Motorcycles has produced half a million bikes. The manufacturing process has evolved over those two decades, with the British marque expanding its production facilities domestically and overseas to a total of five factories. With every expansion the company builds more and more components in house. Currently the company produces approximately 50,000 units annually. Every bike that rolls off the assembly line, in Hinkley or its factory in Thailand, is the byproduct of an international logistical effort. Here’s how it works. Since its rebirth, Triumph Motorcycles has churned out more than a half million new bikes in its short 21-year history. 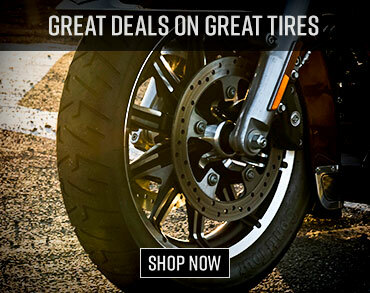 builds bikes based off orders from the 730-plus global dealer network. Instead of large production runs for individual models, the bikes are built piecemeal from the order list. This allows maximum flexibility over the course of a model year, so for example Triumph was able to increase its projected production plans of the Tiger 800 in response to popular demand. The built-to-order system makes Triumph’s assembly line a varied one, with different models interposed with each other. The different model lines combined with numerous specifications for each market mean 500 possible unit variations on the production lines at any given time. The first step in the production process is gathering the required parts from a pick list. The Hinkley site holds a vast warehouse of components. Triumph reckons more than 50% of the parts are built in house, mostly at its Thai facilities (Factory 3 builds frames, swingarms and other chassis components; Factory 4 plastic injection molds; and Factory 5 builds many engine components). 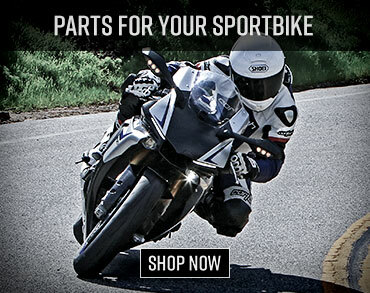 Triumph also sources parts from leading industry suppliers like Showa, Ohlins, Nissin, Brembo and more. Hinkely’s Factory 2 supports two engine assembly lines. The first builds the 1050 Triple. 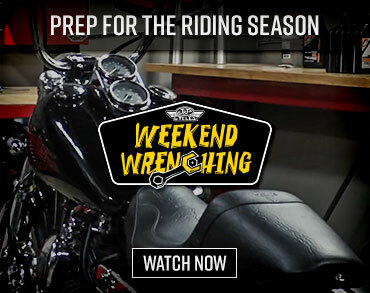 The second line is dedicated to the massive Rocket III, T-16 Thunderbird Twin and 800cc Triple powering the Tiger 800. Engine assembly begins in the machine shop. A few external suppliers are still sourced for critical engine components like pistons and valves, but most of the powertrain parts are manufactured in house. CNC machines pare down the raw forgings from Factory 5. Crankshafts, camshafts, cylinder heads and other engine parts are machined to exacting tolerances. Critical internal parts undergo heat and plasma nitriding processes to enhance durability. About 80 line workers put the powerplants together, with an engine completed every 85 seconds. That’s up to 300 engines a day. Crankcases, pistons, cylinder heads… each station builds up the engine until the moving parts are installed. A small electrical motor then turns the engine over at low rpm in a quick cold testing process. The engine measured up to spec, it is then checked for leaks. Fuel injection systems and spark plugs are added, along with engine oil. At this point the engines diverge into two groups. One stays in Hinkley to be mated with a chassis on final assembly. The second group is destined for Thailand, and the Factory 4 chassis assembly line. These engines are sent off for hot testing on an engine dyno, a 15-minute testing process. They are then packaged and shipped to Thailand. Final assembly is where the unique nature of the Triumph process is most visible. Rocket IIIs share the line with Tiger 800s, Thunderbirds and other models. The bikes quickly take form after the frame and engine are mated. Rear swingarm and suspension components are added, with the front end attached shortly thereafter. Factory 2 can assemble about 200 motorcycles every day. That’s one every 2 minutes and 25 seconds rolling off the chassis line during peak production. Once completed on the chassis line bikes roll onto the dyno for a “rolling road” evaluation. The dyno run checks to ensure engine performance benchmarks are met. Oil is then drained and the bike sent off to a holding area, where they undergo a final visual inspection. The last step out the factory door comes inside specially designed metal crates, which are returned for reuse at the facility. For the domestic UK and European market it’s a truck haul to dealer sales floors. The international markets get a 10-12 week sea voyage en route to waiting customers.